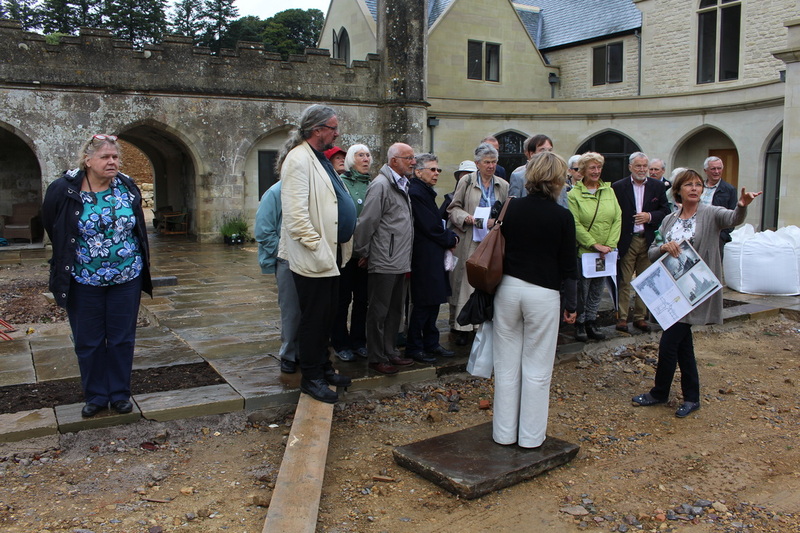 This year’s Study Tour took place from Thursday 18 August to Sunday 21 and explored the Gothic Revival in Hampshire and Wiltshire in the south. 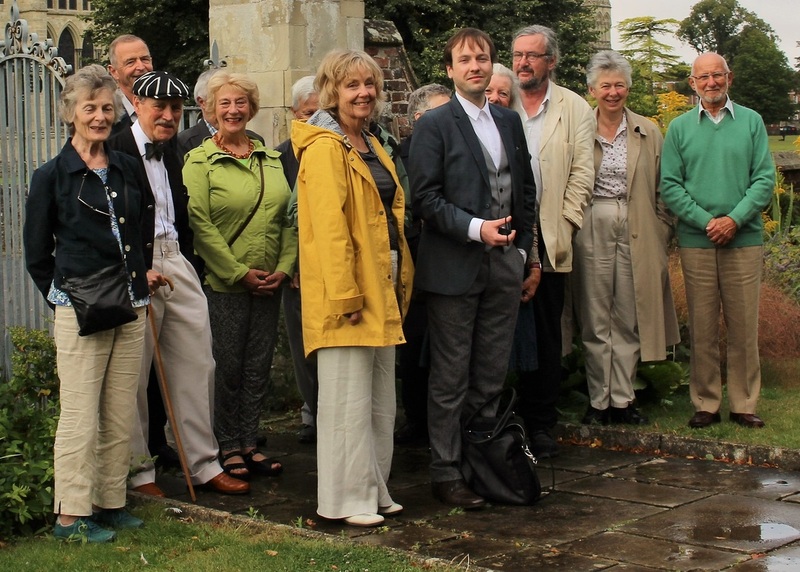 The tour was led by Dr James Jago of the University of York, whom we met for dinner at our accommodation, Sarum College. Situated in the Close with direct views of the cathedral, we enjoyed a memorable first night in beautiful surroundings Thursday evening. Friday we journeyed into Wiltshire to Wardour Castle where we saw an example of surviving mediaeval Gothic in the region demonstrated by the imposing ruins of the fourteenth-century Old Wardour Castle, besieged during the Civil War. As a valuable antidote to all this Gothic, we considered the elegant Neoclassical New Wardour Castle Chapel (completed 1776) contained within a wing of the house. Reflecting the combined efforts of James Paine and Sir John Soane, it is an edifice which would have appalled Pugin, but which stands as a valuable demonstration of Old Catholic feudal patronage. 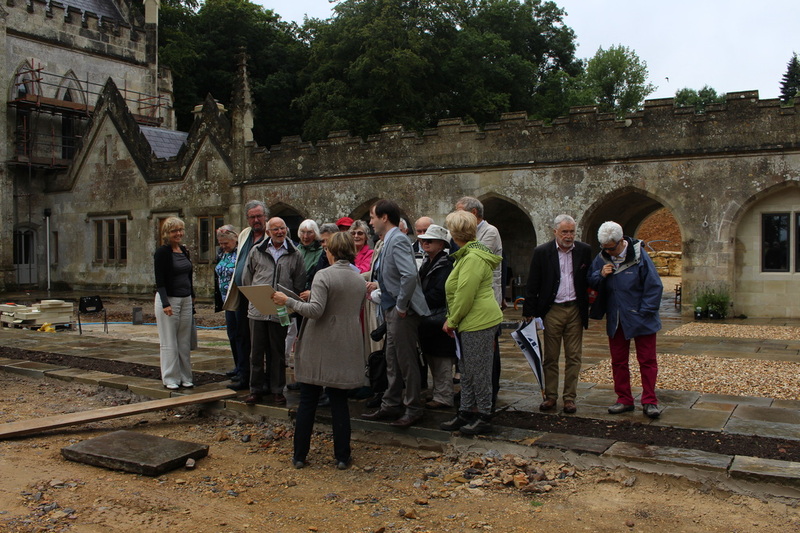 We then turned our focus to consider the fate of over-reaching ambition, a common trope of Gothic novels, as reflected upon during a private visit to what remains of Fonthill Abbey (1796-1813). Designed by James Wyatt for the most precocious enfant terrible of his generation, William Beckford, Fonthill is acknowledged by detractors and champions alike to be the ne plus ultra of the Gothic Sublime aesthetic. We are most grateful to the owners for welcoming us to what remains of the house. On the way we saw the superb Italianate estate church of St Mary and St Nicholas in Wilton built for the Herbert family. In the evening there was a wine reception and candlelit dinner at the Cathedral. 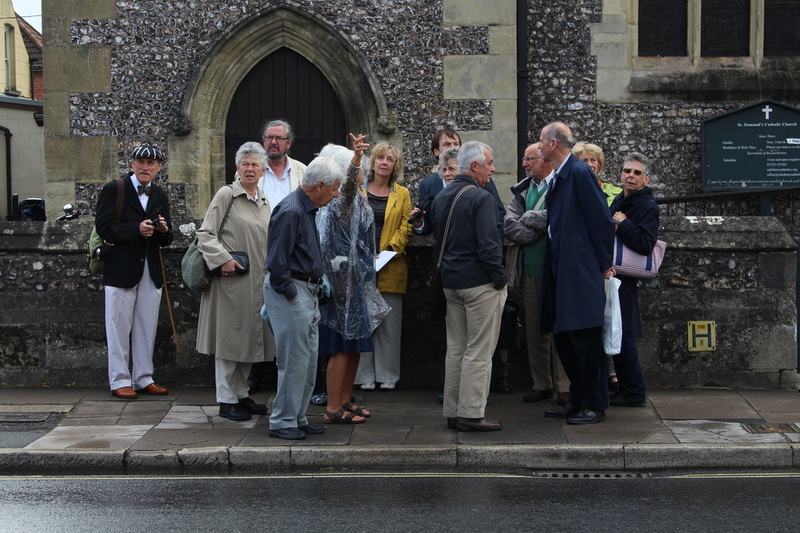 On Saturday we traveled south into Hampshire and Dorset to visit St Michael and All Angels, Lyndhurst (1858-69). One of architect William White’s most accomplished works, it contains notable glass by Morris and Co. and a monumental fresco by Frederick, Lord Leighton P.R.A., depicting the Wise and Foolish Virgins, completed in 1860. 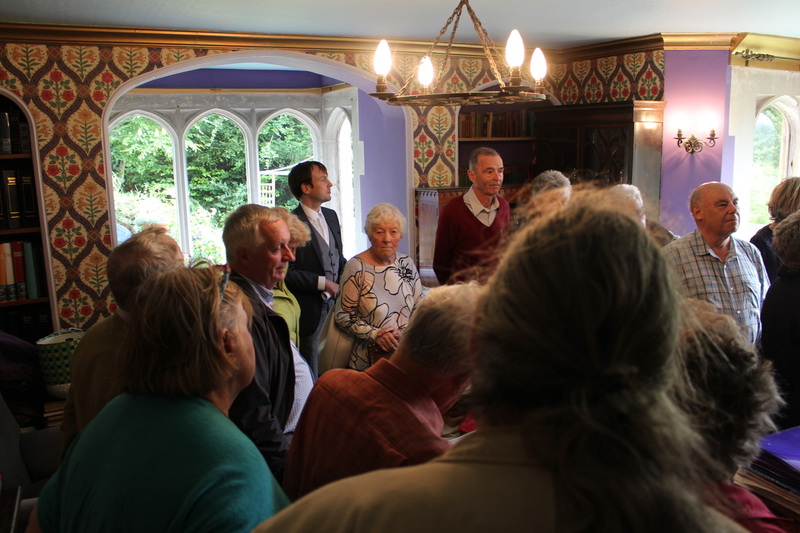 We then travelled to Highcliffe Castle (1831-35), created by William Donthorn for Charles Stuart, 1st Baron de Rothesay, which incorporated imported stonework and stained glass salvaged in the wake of the Napoleonic Wars. 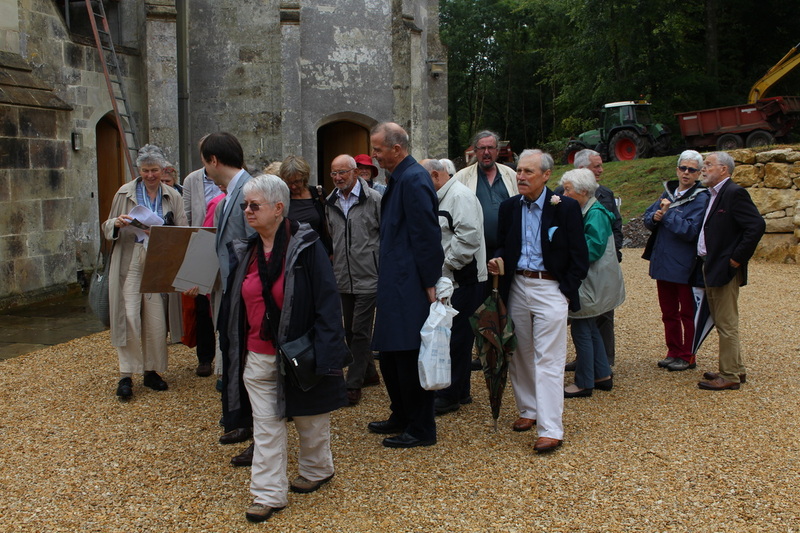 Travelling through the New Forest we visited the eccentric Sway Tower before arriving at Christchurch Priory where AWN Pugin’s first wife is buried. 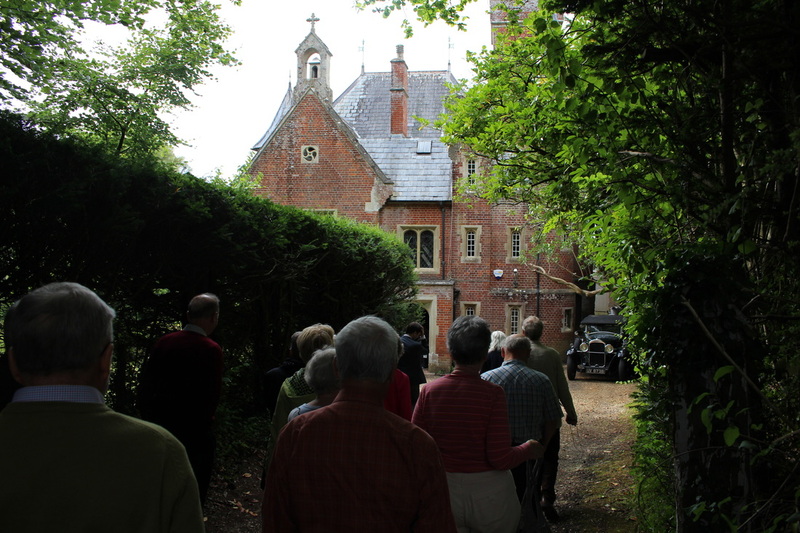 Our day ended with the climax of the trip which was a visit to St Marie's Grange, the turreted, red-brick house that Pugin built for himself. It was while living here from 1835-7 that he wrote Contrasts. The house is in private hands, and we are most grateful to the owner for allowing us to see it. 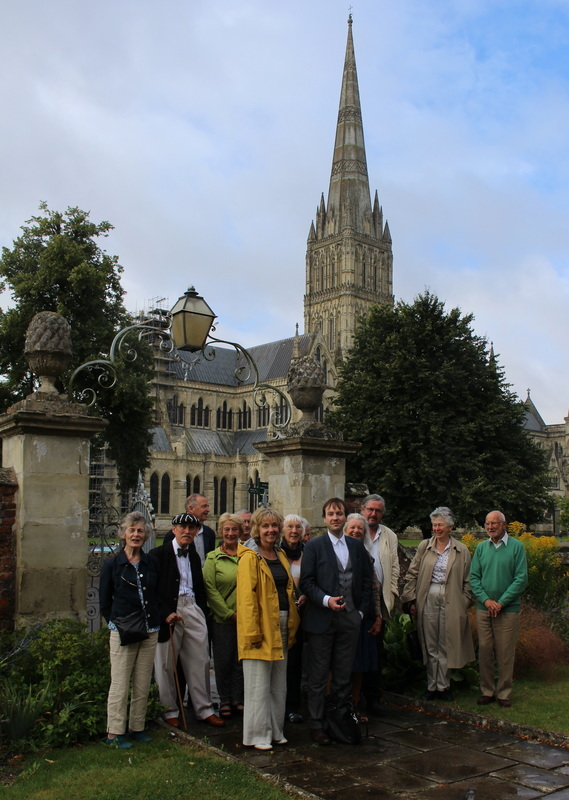 On Sunday we explored Salisbury itself with its magnificent cathedral. 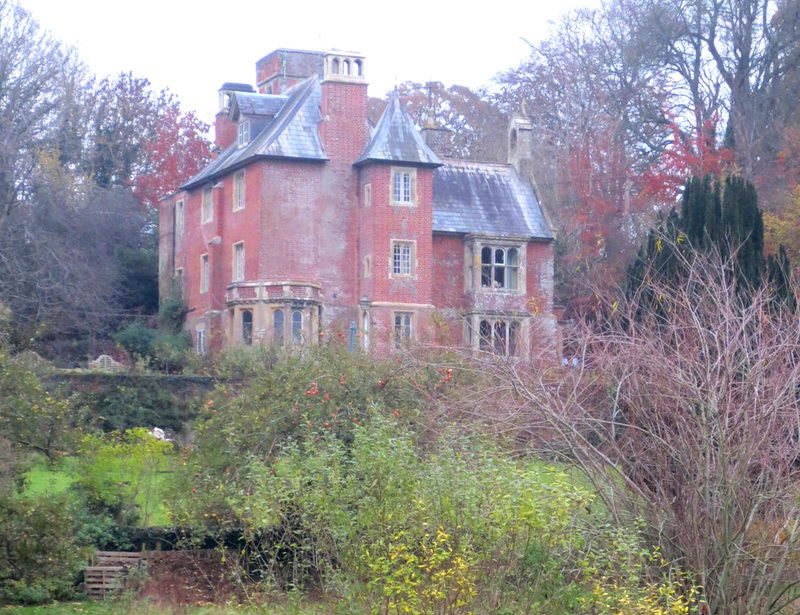 Begun in 1220, its Early English interior still bears witness to Wyatt’s destructive restoration (1789-92) carried out at the behest of Bishop Shute Barrington. The controversy over this campaign was a formative moment in the development of the Gothic Revival. This was the condition in which Augustus Pugin first knew the cathedral, picturing himself carrying a processional cross through its western doors. These pious ambitions found architectural form in St Osmund (1847-48) built just outside the Cathedral Close for the Catholic community that he had recently joined. This deeply personal work made a telling comparison to the surviving mediaeval buildings of the city, such as the fourteenth-century Poultry Cross and St Thomas and St Edmund, with its superb mediaeval Doom above the chancel arch. Thanks to Michael Tedder for the photos of a memorable trip.